Welcome to A Sampling Bee! Today, I share with you the CrateChef Subscription Box! 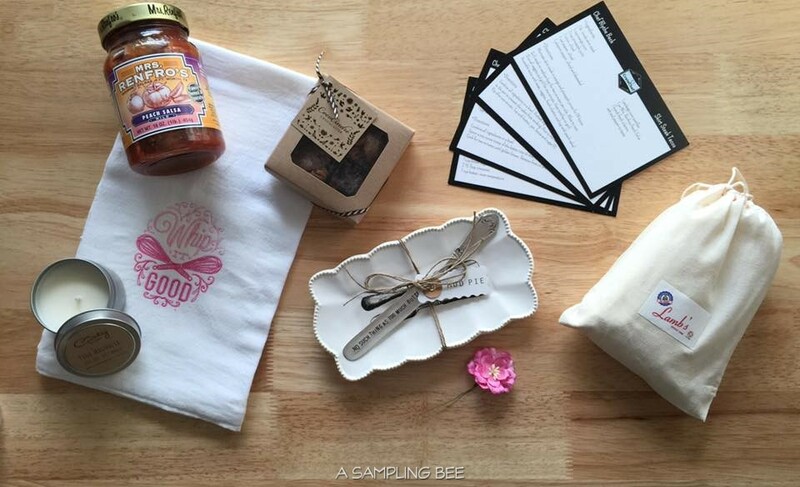 This awesome, bi-monthly subscription box allows you to nourish your inner chef! 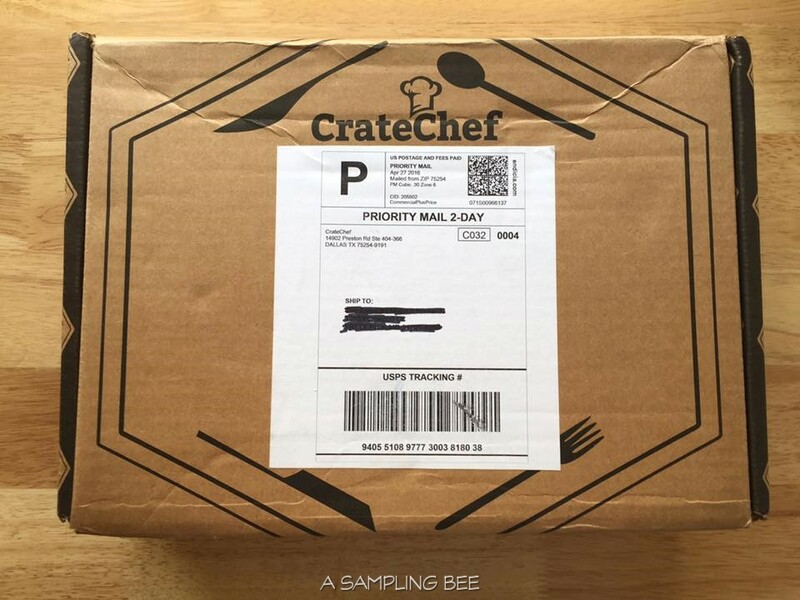 When you subscribe to CrateChef, you'll receive a box full of top-name chef curated favorites! Boxes may include a selection of local artisan food products, useful kitchen items, selected recipes and a letter from the chef. Recipients will be delighted to discover new chef-selected food and other products, delivered right to their door. May's box is inspired by Chef Blythe Beck! May's box, curated by Chef Blythe Beck, the executive chef and co-owner of Pink Magnolia in Dallas, TX, has a great selection of food products and fun kitchen items. She believes that everything is better when cooked with bacon, booze or butter. She is know as the "Naughty Chef" because she likes to cook with flavorful ingredients. Check out the awesome products in her box.. I am in L.O.V.E!! The CrateChef subscription box is an amazing box. This box if full of stuff that I am interested in. My favorite products in the box? All of them! The Peach Salsa is amazingly delicious. The butter dish is really cute. The butter knife that it comes with is engraved with the saying "No Such Thing As Too Much Butter." My Country Story's Pink Magnolia Candle smells really good. It fills my whole home with such a beautiful scent. I ate every single one of the Caramel Turtles in one sitting.. 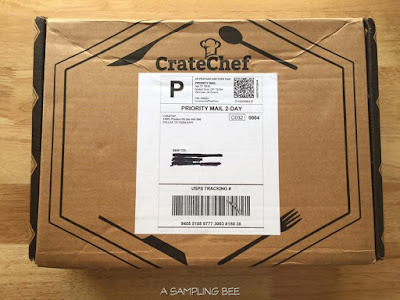 I received CrateChef Subscription Box in exchange for my honest review. All opinions are my own. Always! Look at that good stuff in there. I want to sign up for this!! You'll love this box! It's amazing! What a fun looking subscription box. I'm not subscribed to get any but if I decide to, I'd want one that deals with the kitchen like this one does. I love to cook more than just about anything. This looks like a cool subscription box. You should include a dish you created with this box! It would have been nice to see! They sent you some wonderful stuff. I know I'd be going for the caramel turtles first! Wow, I love everything in this box. I should have a subscription for the cratechef. This is one of the most adorable subscription boxes I've heard of or seen. 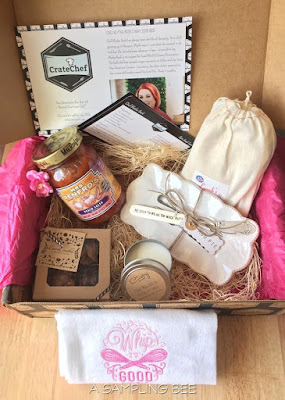 The items are awesome, I am so curious about that peach salsa! 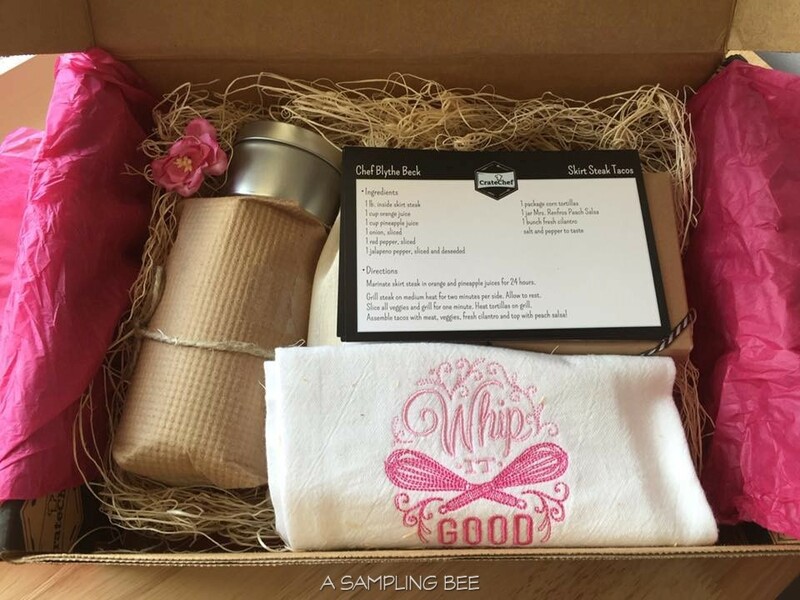 This is a cute subscription box, my wife will surely love this. She loves cooking. I love subscription boxes that contain things I can use in the kitchen, or food to sample. I like them better than make up and lotions and clothes. This cratechef looks like something I will seriously consider signing up for. Nice box, I would love to have mine. 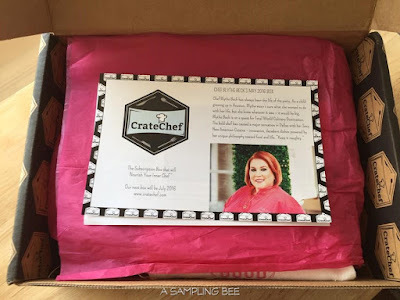 Cratechef is one of my favorites! Thanks for sending the news! What an amazing box! Would love to see more of CrateChef. I will check their website out. That looks like a great box. Looks like some great products in it too. I love subscription boxes. It's nice to get a surprise of items each month. This looks to be amazing! What an awesome set up! Thank you for posting! Looks like a great subscription. We dont do them in UK and I wish you great fun with that one! this looks lovely! i love everything thats inside too! wish to try something like this here in dubai, hope i can find one! What a fabulous subscription box! I will have to look into getting one for myself!